Coming up next is the Original YOKO VAPE TRX167 167W TC VW Variable Wattage Box Mod. 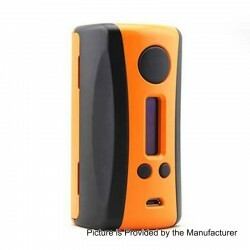 YOKO VAPE TRX167 DNA250 is a compact but powerful box consisting of a DNA250 chipset, a power regulated digital switch-mode DC-DC converter for personal vaporizers, which features Evolvs patented Wattage Control, various Output modes, Temperature Protection, Preheat, Digital User Controls, etc. 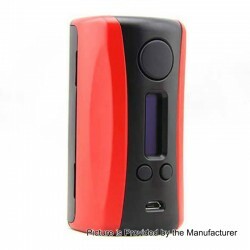 YOKO VAPE TRX167 DNA250 is powered by dual 18650 batteries with a high-grade and user-friendly OLED screen.This item also has several colors to choose. 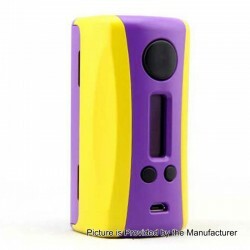 The YOKO VAPE TRX167 Box Mod is in stock now at 3FVAPE. And it got a perfect matchup with the IJOY RDTA 5S,which is also in stock.